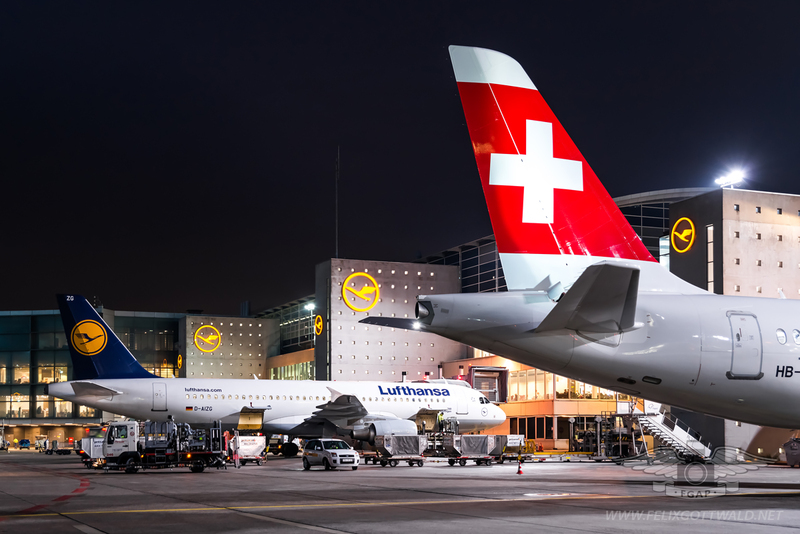 Swiss International Airlines from Switzerland has been a part of the Lufthansa Group for a couple of years now, but was allowed to keep its brand name and unique product. 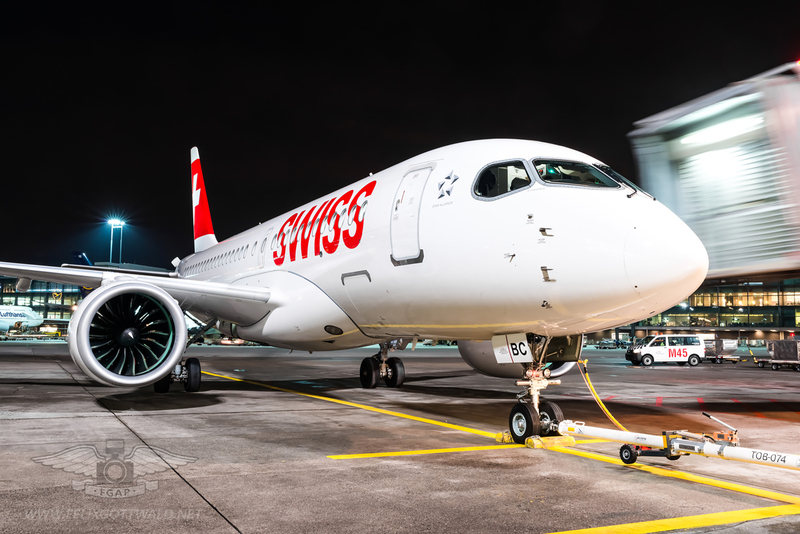 Nevertheless it came as a surprise to many that Swiss was to be the launch customer for the new Bombardier CS100 aircraft, given the fact that none of the other group airlines had ordered the type. 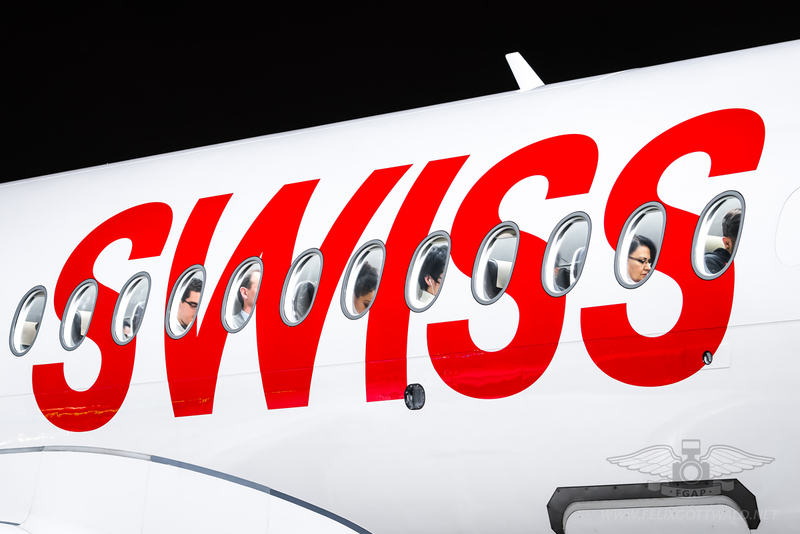 While replacing older Avro Regional Jets, it also increases the number of passengers that can be transported by featuring a 125 seat layout (similar size to the Airbus A319). Ready to taxi with all lights on! 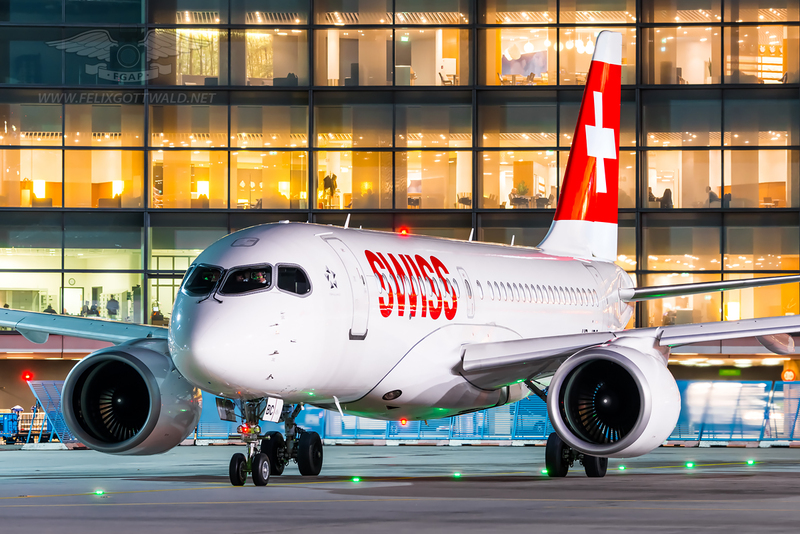 The CSeries has been in operation since 2016 and has become a regular visitor to Frankfurt. 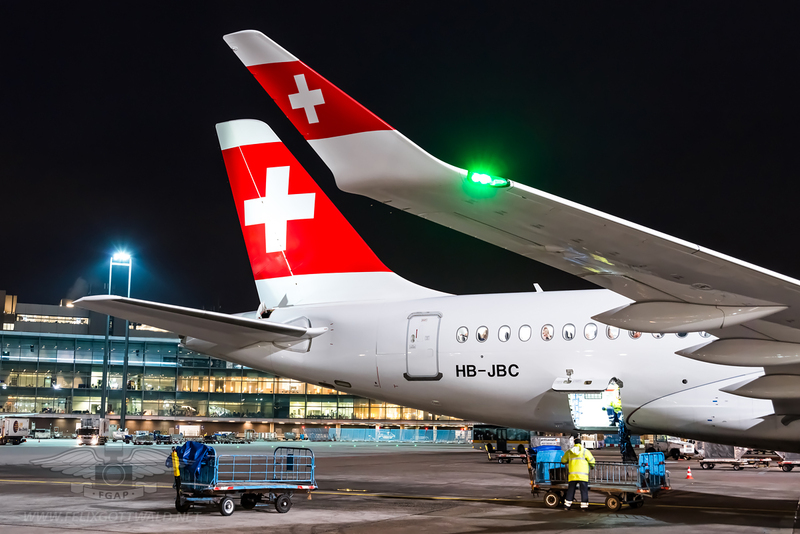 Having the ability to go on the ramp there, I used my chance on a dry January night to snap a couple of photos of HB-JBC, which is the third aircraft in the Swiss CS100 fleet. 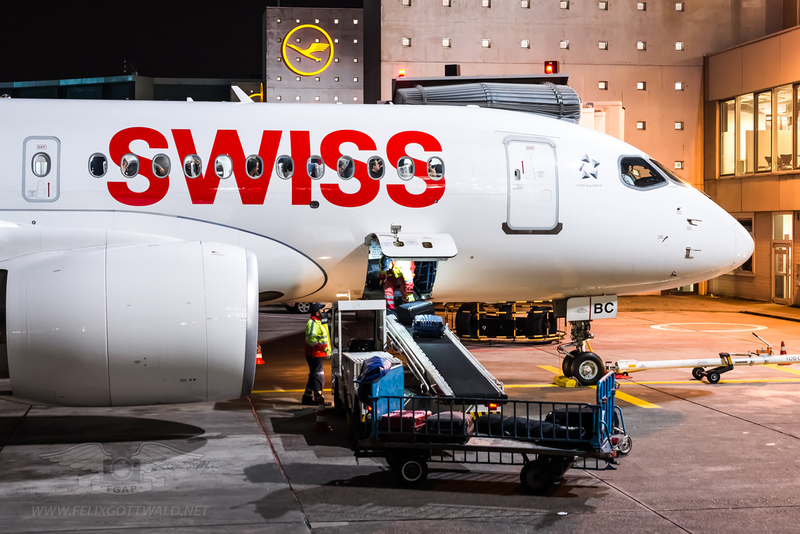 The aircraft was delivered on 22 October 2016, but unlike the first two aircraft has not been named yet. Nevertheless it was great to take photos of it from the outside, also covering the handling process. Getting inside to take some cabin and cockpit images will be a future task for me. Arriving in Frankfurt HB-JBC is taxiing past the control tower. 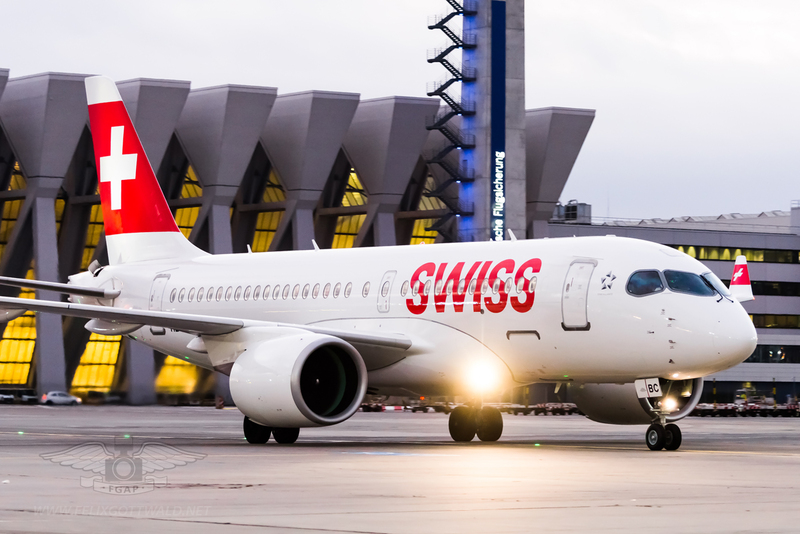 The CS100 occupies a parking position near the central part of the terminal. After a short ground time, the HB-JBC is ready for push-back. The light on the nose gear turns from red to green to indicate that the pilots have received their push-back clearance and are ready to go! 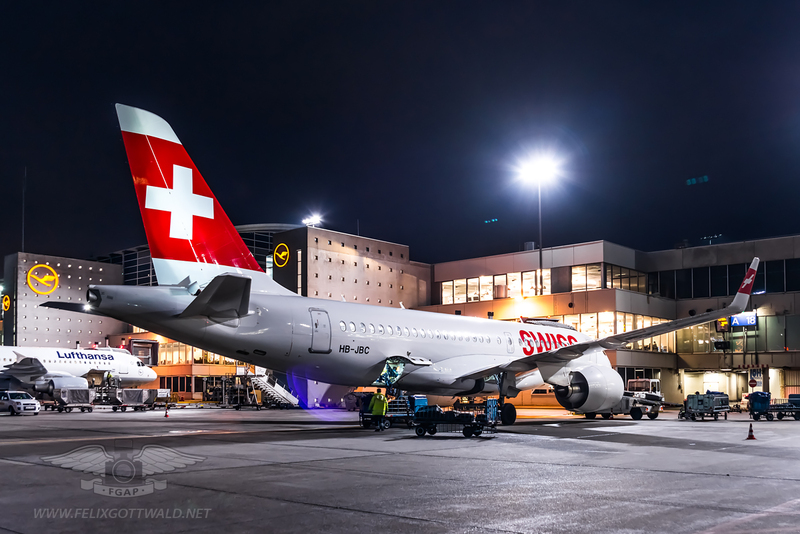 After push-back the aircraft is parked for a minute or so in front of the Terminal 1 A pier that provides a great background for this new and streamlined Bombardier jet! 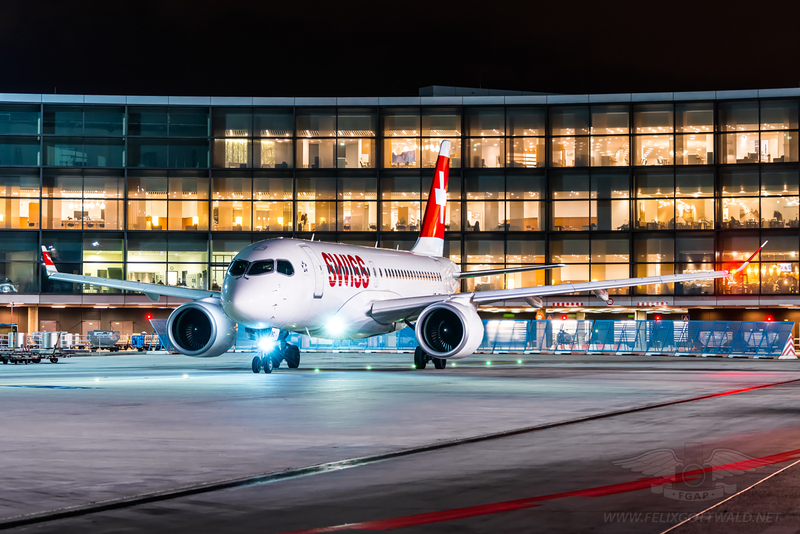 Do you like the pictures in the Swiss CS100 gallery? All images on my website are also available for sale! I deliver worldwide and can offer you a wide range of products, from ordinary posters and canvas to the finest quality large-scale dibond prints. Get in contact with me to receive a quote custom-tailored to your demands by clicking here.